How Is Cable Assembly Ampacity Measured And Impacted? 04 Feb How Is Cable Assembly Ampacity Measured And Impacted? 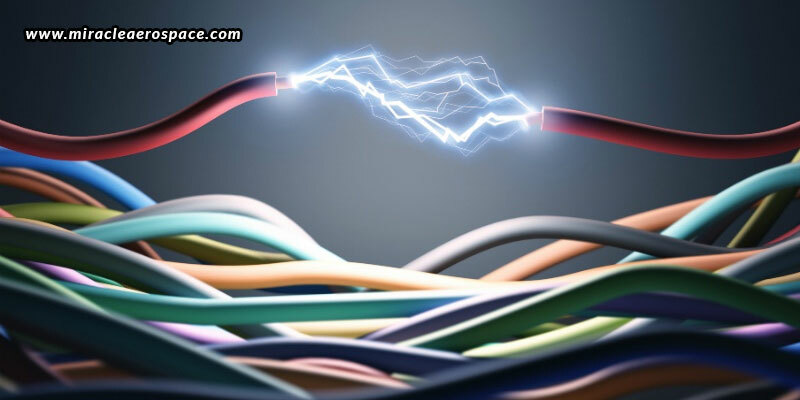 In an electronic cable, ampacity is the maximum amount of electric current that the cable can safely carry. “Amp” is the unit of measurement for electrical current, and “Acity” is here used as the short form of capacity. So, you can easily think of ampacity as the capacity of amps of electrical current that the cable can carry along it. This makes ampacity the main driver for determining the conductor wire gauge that is required for a particular application. The bigger the conductor, the more current it is capable of carrying. However, it all depends upon the application you want to use the conductor with. Not every big conductor is a good choice, and bigger means pricey. Ampacity of a cable can be measured in a variety of ways. When current is travelling through a conductor, it meets the opposition of electrical resistance, which causes the cable to heat up. The more current, the more heat will be generated. Depending on the wire gauge and conductor conductivity, the conductor temperature reaches the maximum certified temperature. This maximum electrical current is where outward heat matches the resistive heating of the conductor. This steady state condition is the ampacity. However, when multiple cables are bundled, and different types of cables are used together, it becomes complicated. There is a lot that you need to consider when it comes to how hot you want your cable to be during operation? These factors include the temperature of the environment of the application, the temperature rating of the insulation material, safety aspects, etc. But, first and foremost you must consider the voltage drop. A cable’s resistance means that voltage will be lost over the length of the cable; and longer the cable, greater the voltage drop. Next, you must consider the correct cable size as the size plays a significant role in analyzing the safety when current passes through it. An incorrectly sized cable can result in serious damage to the equipment, and can lead to fires too! One other factor that can highly affect the ampacity is the cable’s insulation. The higher the temperature rating of insulation, the higher the amp reading. For example, a single conductor with 90°C PVC insulation can have an ampacity rating of 185 amps, while when the same conductor is used with a 200°C silicone insulation, it can have an ampacity rating of 240 amps. With all of the above mentioned factors affecting the ampacity of a cable, there is lot to consider so as to ensure safe working of the equipment and safety of the operators. So, be very careful while selecting your cables. To be on the safest side, discuss your requirements with Miracle Aerospace, one of the best aircraft cable assembly manufacturers in India, who have immense knowledge about their field and can suggest you the right advice regarding your cables and electronic applications. Along with the right suggestion, you can also get the best quality cable assemblies for a variety of applications here that include flat assemblies, RF assemblies, ribbon assemblies, airborne looms, military looms, and more – all of which are rigorously tested and inspected before being delivered to ensure quality and safety.